Here at Bottega Italiana we take personal pride in our product. 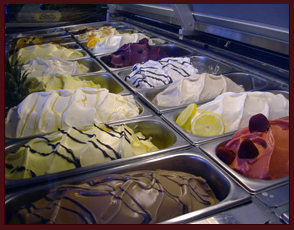 Our gelato is handmade daily and in small batches using natural flavors and ingredients to ensure the highest quality. Our milk and produce are hand chosen from local markets to ensure the freshest ingredients. Fruit flavors are only made seasonally, because we can only use fruit when it is at its peak flavor and freshness. We do this to assure that we offer you the highest quality product possible. In addition to using fresh ingredients, we at Bottega Italiana do not use any additional colors, flavors, or preservatives in our product. 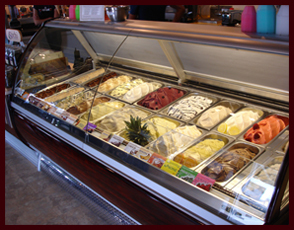 When it comes to flavor and color, our gelato is strictly "come as you are." Another current trend we reject is the practice of sweetening with corn syrup. You will never find corn syrup in Bottega Italiana's gelato. For those who are lactose intolerant or vegan, Bottega Italiana also offers dairy free (and vegan) flavors. These are usually fruit flavors and are therefore seasonal. 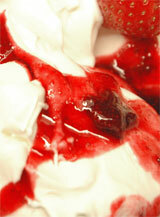 Stop in to see which dairy-free flavors we are currently featuring. In addition, our gelato was recently certified as gluten-free to meet the increasing demand of our gluten-sensitive customers. 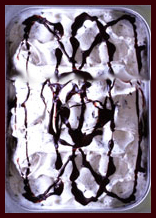 Many ask how gelato is different from ice cream. The main difference between gelato and ice cream is that not all flavors of gelato contain dairy, but for those flavors that do, they are made with 2% milk. This results in a product that contains approximately 60% less fat and calories than American ice cream, that is made with heavy cream. 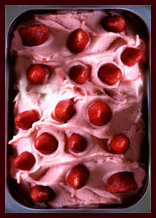 In addition, the end result for those dairy free flavors is an even lower calorie count product. While still boasting a smooth velvety texture, these vegan alternatives are an excellent alternative for those that are lactose intolerant. 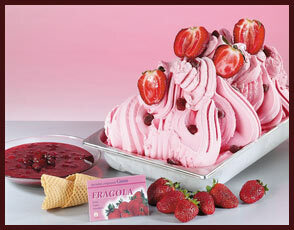 Gelato also has much less air added to it during production, yielding a more intense and concentrated flavor. We hope you will have the opportunity to come by soon and experience a taste of Italy for the first time. You can come sit and enjoy some of our fresh gelato at one of our caffes or even take some home to share with your friends and family. 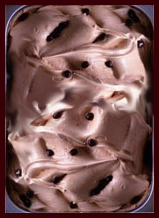 : Made fresh daily, tiramisu is always a crowd favorite because of it's rich flavour and smooth texture. Great when mixed with any of our many flavours. Try it with a scoop of vanilla, caffe or pannacotta. : When in season, pineapple is made fresh daily and makes for a refreshing tropical treat during the summer. 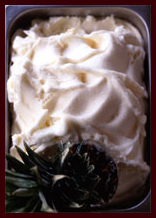 : Made fresh daily, vanilla is always a crowd favorite because of it's rich flavour and smooth texture. Great when mixed with any of our many flavours. Try it with a scoop of caffe mocha, cioccolato or nocciola. 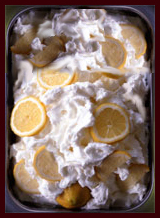 : When in season, lemon is made fresh daily and makes for a refreshing tropical treat during the summer. : Made fresh daily, pistacchio is always a crowd favorite because of it's rich flavour and smooth texture. You will notice our pistacchio is not a green colour, rather it is brown, marking the fact that it is made entirely without the use of artificial coloring or flavoring. Great when mixed with any of our many flavours. 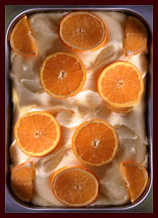 : When in season, orange is made fresh daily and makes for a refreshing tropical treat during the summer. : Made fresh daily, chocolate chip is always a crowd favorite because of its creme base and marbling of chocolate throughout. 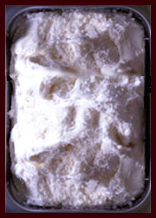 : When in season, coconut is made fresh daily and makes for a refreshing tropical treat during the summer. 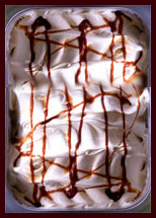 : Made fresh daily, caramel is always a crowd favorite because of its rich flavour and smooth texture. : When in season, made fresh daily with green apples at the peak of freshness. : Made fresh daily, coffee is always a crowd favorite, especially in Seattle, because of its rich flavour and smooth texture. Albicocca (Apricot), Amarena (Wild Cherry), Anguria (Watermelon), Banana, Cioccoarancia (Chocolate Orange), Fichi (fig), Frutti de Bosco (Mixed Berries), Frutto della Pasione (Passion Fruit), Kiwi, Lampone (Raspberry), Lime, Mango, Melone (Cantaloupe), Mirtillo (Blueberry), Papaya and Pera (Pear) Pesca (Peach). Chocolate, Amaretto, Belle Helene (Chocolate Pear), Caffe Mocha, Canella (Cinnamon), Cassata (Currant), Nocciola (Hazelnut), Fior de Latte (Sweet Milk), Gianduia (Chocolate Hazelnut), Latte Mou ( Dulce de Latte), Malaga (rum and raisin), Mandorla (Almond), Meringa, Noce (Walnut), Nutella, Pannacotta (Creme Brulee), Riso (Rice Pudding), Yogurt, Zabaoine (Italian Eggnog) and Zycca (Pumpkin).